US Marine Corps officers on Monday huddled on how to proceed with tackling a new and shocking scandal: the online posting of potentially hundreds of explicit photos of current and former female Marines and other service members on a private Facebook page. So far, at least one person has been disciplined in connection with the postings, a US military official said. He was an IT subcontractor working for a firm with a support contract for the Marines. The Marines informed the primary contractor of the person's actions and he has been barred from working on any contracts in support of Marines, the official said. The man committed "misdeeds," the official said, but there were no details about precisely what he did. The Naval Criminal Investigative Service kicked off an in-depth investigation into the postings of the salacious and explicit photos on the Facebook group called Marines United. A Facebook statement on Monday decried the posting of such material and urged people to report wrongdoing if they see it. "There is no place for this type of demeaning or degrading behavior in our Corps -- this includes our actions online," said Sgt. Maj. Ronald Green, the Corps' highest-ranking noncommissioned officer. "We need to be brutally honest with ourselves and each other. This behavior hurts fellow Marines, family members and civilians. It is a direct attack on our ethos and legacy." A Marines United Facebook page contained links to a Google Drive folder where the photos were being stored, a US defense official told CNN. Members on the site solicited others to submit photos of women without their knowledge. Only males were invited to join the private page. Military officials tell CNN the cloud storage folder has been removed at the military's request but CNN was still able to open at least one of the links early Monday. It was not clear to the Defense Department how many current and former Marines may be involved in potential wrongdoing. Reports of "hundreds" of Marines being involved are inaccurate; the number is probably closer to dozens, a US military official said, but the official added that even that number might be an exaggeration. A former Marine brought the matter to the attention of the Marine Corps last month. Facebook's statement about the photos said it does not permit "harassment" and will remove "content that appears to purposefully target private individuals with the intention of degrading or shaming them." "We also remove content that threatens or promotes sexual violence or exploitation," Facebook said. "We encourage people to report content to us for review when they see something that should not be on Facebook, and also suggest reaching out to law enforcement directly if there is a situation in which the authorities can help." The Corps praised Thomas Brennan, a Marine veteran, for notifying authorities about what he saw on the page. Brennan founded The War Horse, a military news site that investigates defense and veterans issues, which first reported the allegations on a separate site, Reveal, run by the Center for Investigative Reporting. "We are thankful that Thomas Brennan, a Marine veteran, notified the Marine Corps and NCIS about what he witnessed on the Marines United page. It allowed us to take immediate action to have the explicit photos taken down and to prepare to support potential victims. We are exploring what actions should be taken to best address this form of harassment in the future," Marine Corps spokesman Capt. Ryan Alvis said in a statement. A US military official confirmed that threats have been made against an informant. The official said additional Marines came forward separately, sparking the NCIS investigation. Marine officials decried the activity. Because of the ongoing investigation, officials would not comment specifically on the case. But Alvis said "the Marine Corps is deeply concerned about allegations regarding the derogatory online comments and sharing of salacious photographs in a closed website. This behavior destroys morale, erodes trust and degrades the individual." Gen. Robert B. Neller, commandant of the Marine Corps, also declined to comment on the specifics of the case. "For anyone to target one of our Marines, online or otherwise, in an inappropriate manner, is distasteful and shows an absence of respect," Neller said. "I expect every Marine to demonstrate the highest integrity and loyalty to fellow Marines at all times, on duty, off-duty and online." "Ultimately," Green said, "we must take a look in the mirror and decide whether we are part of the problem or the solution." Elle Audra and her daughter Desiree in 2008. Photo Credit: Courtesy of Elle Audra. The Naval Criminal Investigative Service (NCIS) has opened an investigation into the online posting of potentially hundreds of explicit photos of current and former female Marines and other service members, CNN has confirmed. A private Facebook group called "Marines United" contained a link to a Google Drive folder, where the photos were being stored, a US defense official told CNN. Members on the site solicited others to submit photos of women without their knowledge. The cloud storage folder has been removed at the request of the military, the official said. It was not clear to the Defense Department how many current and former Marines may be involved in potential wrongdoing. A former Marine originally brought the matter to the attention of the Marine Corps last month. "We are thankful that Thomas Brennan, a Marine veteran, notified the Marine Corps and NCIS about what he witnessed on the 'Marines United' page. It allowed us to take immediate action to have the explicit photos taken down and to prepare to support potential victims. We are exploring what actions should be taken to best address this form of harassment in the future," Marine Corps spokesman Capt. Ryan Alvis said in a statement. Brennan founded The War Horse, a military news site investigating defense and veterans issues, which first reported the allegations on a separate site, Reveal, run by the Center for Investigative Reporting. Because of the ongoing investigation, officials would not comment specifically on the case. However, Alvis added that "the Marine Corps is deeply concerned about allegations regarding the derogatory online comments and sharing of salacious photographs in a closed website. This behavior destroys morale, erodes trust, and degrades the individual." Gen. Robert B. Neller, commandant of the Marine Corps, also declined to comment on the specifics of the case. "For anyone to target one of our Marines, online or otherwise, in an inappropriate manner, is distasteful and shows an absence of respect," Neller said. "I expect every Marine to demonstrate the highest integrity and loyalty to fellow Marines at all times, on duty, off-duty, and online." Sgt. Maj. Ronald Green, the Corps' highest-ranking noncommissioned officer, said these allegations go against the core values of the Marine Corps. "There is no place for this type of demeaning or degrading behavior in our Corps -- this includes our actions online," Green said. "We need to be brutally honest with ourselves and each other. This behavior hurts fellow Marines, family members, and civilians. It is a direct attack on our ethos and legacy." "Ultimately we must take a look in the mirror and decide whether we are part of the problem or the solution," Green said. When Kelsie Stone broke up with her Marine boyfriend in 2016, she thought he was out of her life for good. Then one of her friends sent her screenshots of photos of her without her clothes on that her ex had allegedly posted on the Facebook page “Marines United,” she said. She’s also heard that her ex-boyfriend is getting praise for what he has done. “Because apparently posting pictures of a woman on social media is brownie points for a lot of Marines these days,” she said. “The messages are usually something around like: ‘Where were you when I was in? 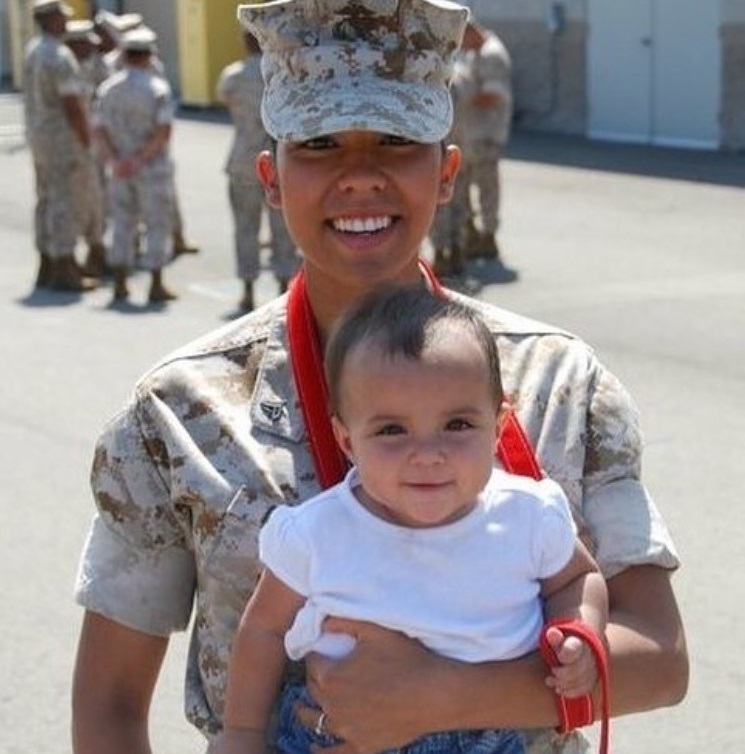 I would've f****d you too,’” Audra told Marine Corps Times. “As a father of a young lady growing up in today's digital information environment, I find this type of voyeurism disturbing and the subsequent justification of it to be repulsive,” Devine said. 0 Response to "Lewd photos of female Marines spark probes, consternation"